Team Honda HRC had a night of ups and downs at the San Diego Supercross, as Cole Seely led over half of the main event before taking the checkered flag in fourth, while teammate Ken Roczen was sidelined after an incident with another rider. 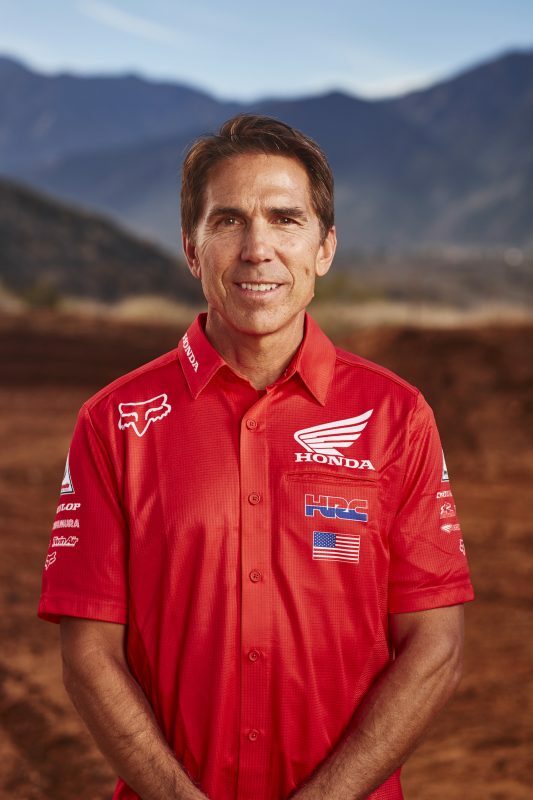 For the second consecutive week, Seely grabbed the main-event holeshot aboard his CRF450R and laid down consistent laps, opening up a solid lead through the first half of the race. 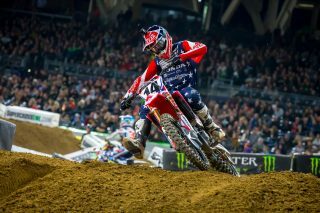 At the midway point, Seely came under pressure and was unable to hold off the advances of eventual winner Jason Anderson. 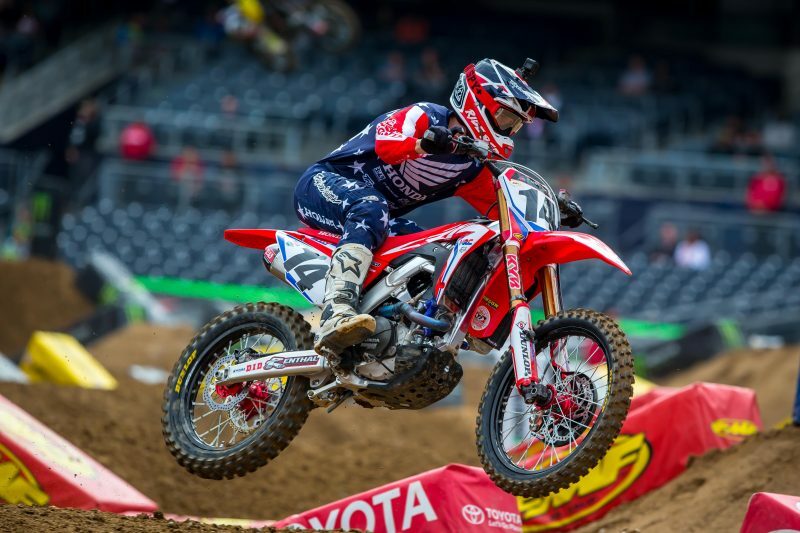 Several mistakes resulted in Seely relinquishing two more positions before he crossed the finish line in fourth place. Roczen had a rough night from the very start of the main event, as a first-turn crash left him nearly last on the opening lap. On lap three, while looking to make a pass on Cooper Webb, Roczen lost control of his bike and sent both riders to the ground. Unfortunately, Roczen’s right arm tangled in the rear wheel of Webb’s bike and he retired from the race. 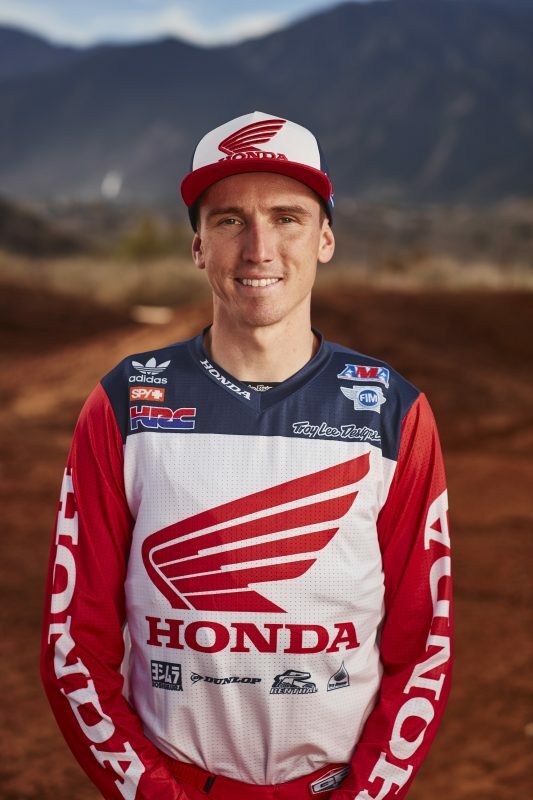 The German was evaluated by the Alpinestars Mobile Medical Unit, where it was determined that he has a fracture to the second metacarpal in his right hand. 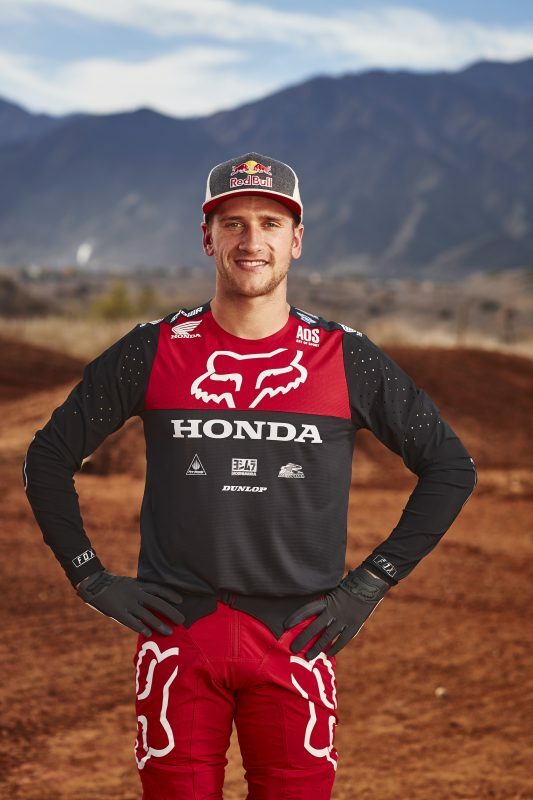 Roczen will visit his physician on Monday for further evaluation, but surgery has already been scheduled with Dr. Randy Viola (the surgeon who performed all of his procedures in 2017) on Friday, February 16. Additional details will be released when they become available. 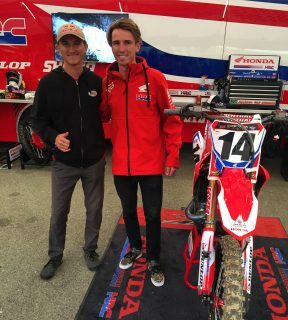 On Friday evening, hundreds of fans came out to South Bay Motorsports in Chula Vista, California, to meet Team Honda HRC’s Ken Roczen and Cole Seely, GEICO Honda’s Christian Craig and Chase Sexton, and Adam Enticknap, all of whom were on hand to sign autographs and take pictures. 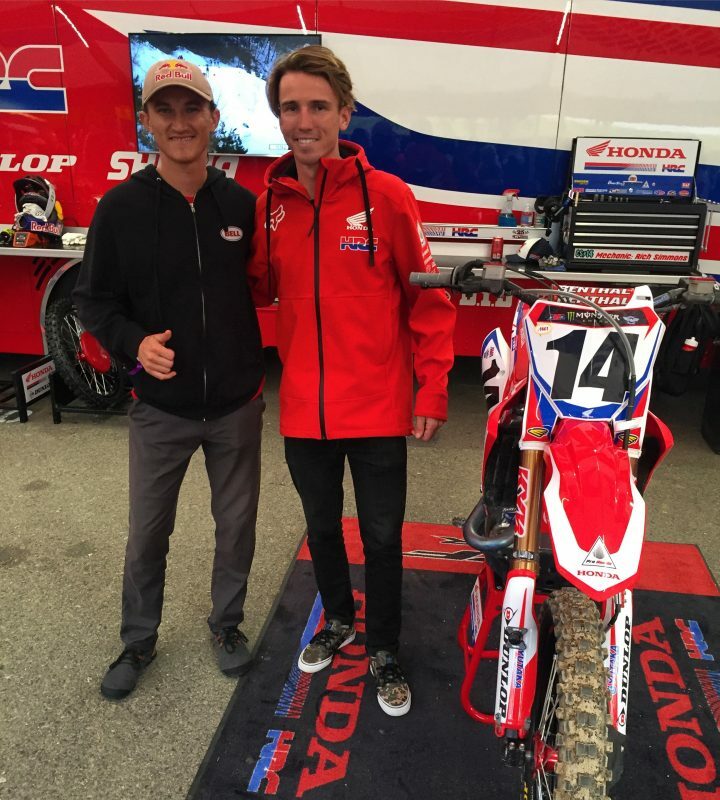 The Honda racing family came together in San Diego, with Red Bull Honda World Superbike Team rider Jake Gagne spending some time under the Team Honda HRC tent to meet fellow racer Cole Seely. Gagne is spending his final days in the States before heading to Australia to kick off his 2018 season on February 23. Competition was fierce during the daytime qualifying sessions, with all the riders from second to 12th posting times in the 51-second range. Roczen notched the third-quickest lap time at 51.109”, while Seely was a mere .52” behind in 11th with a 51.629” lap. 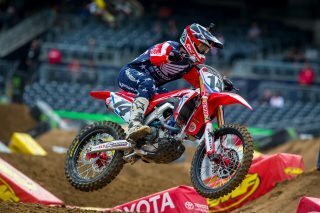 MotoConcept Honda’s Justin Brayton was fourth-fastest with a 51.120” time. For the second week in a row, Seely and Roczen were slotted together in the same 450SX heat race—heat two in this case. Due to a red flag, all riders were forced back to the line early for a full restart. 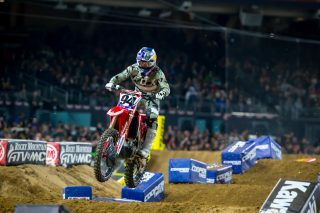 When the gate dropped for the second time, Seely got off to a much better start, settling into third on the opening lap. 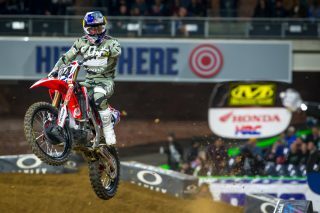 He closed in on the rider in front of him, dicing back and forth before making a blazing pass through the whoops to take over second. 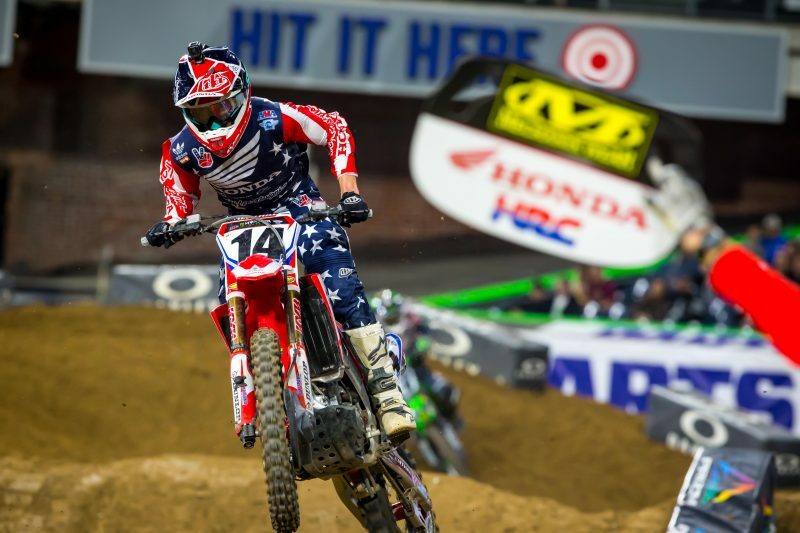 Meanwhile, Roczen didn’t fare as well in the restart, sitting ninth after the first turn. He worked his way through the pack to take the checkered flag in fifth. 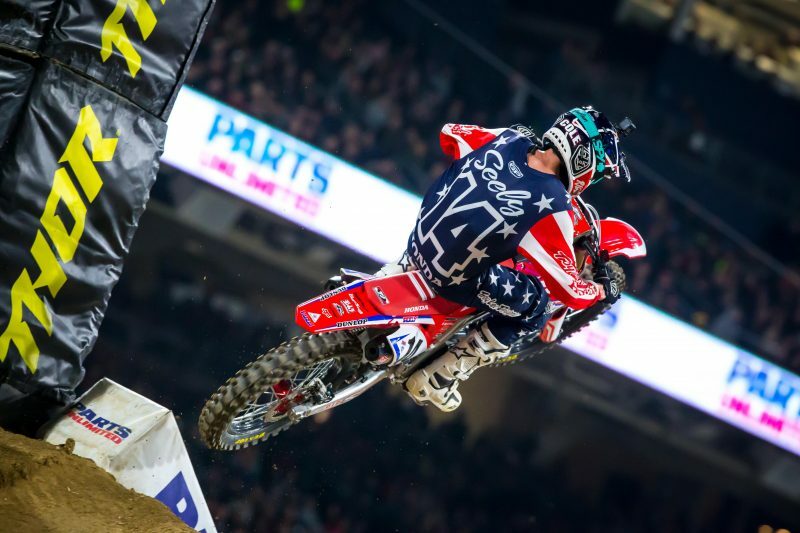 On lap five of the 450SX main event, Seely laid down the fastest time of the race at 51.444”. 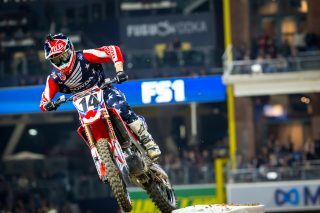 GEICO Honda’s Chase Sexton rode impressively throughout the 250SX main event to earn his second career podium finish with a solid third. 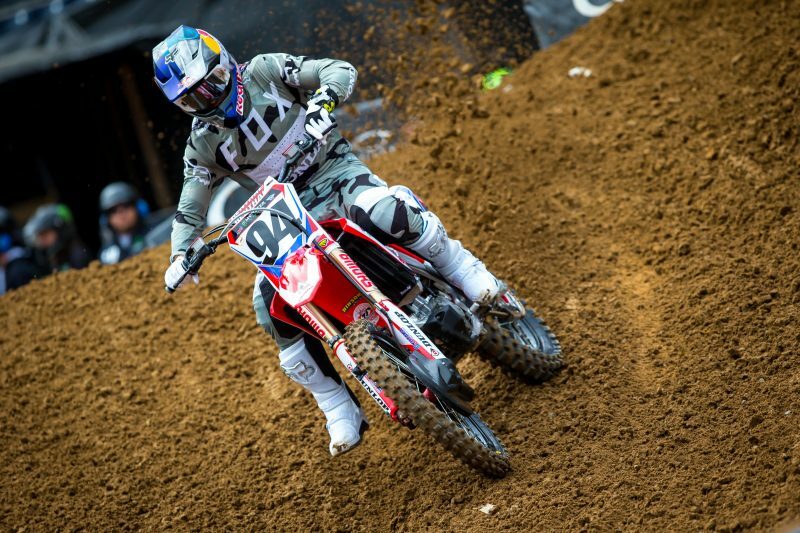 The rookie completed the first lap in fourth but charged forward, taking over third on lap six. 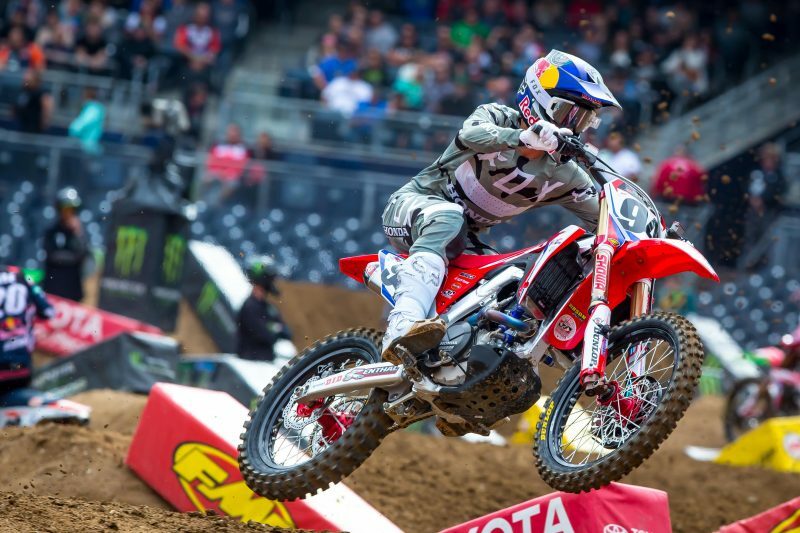 En route to his podium appearance, Sexton laid down the fastest lap of the main event with a 52.733” time. Teammate Christian Craig struggled off the start and was shuffled toward the back of the pack in the first turn. 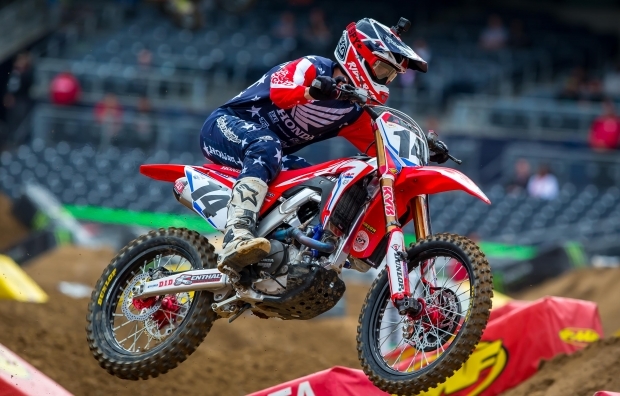 He spent the remainder of the race trying to salvage as many positions as possible, working his way into sixth by the end. 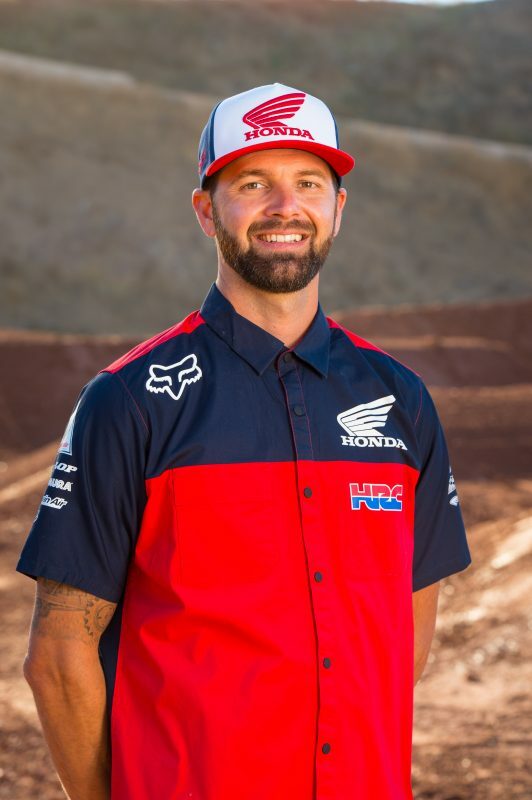 This weekend, Team Honda HRC will begin their journey east to campaign round 6 of the AMA Supercross series, in Arlington, Texas. 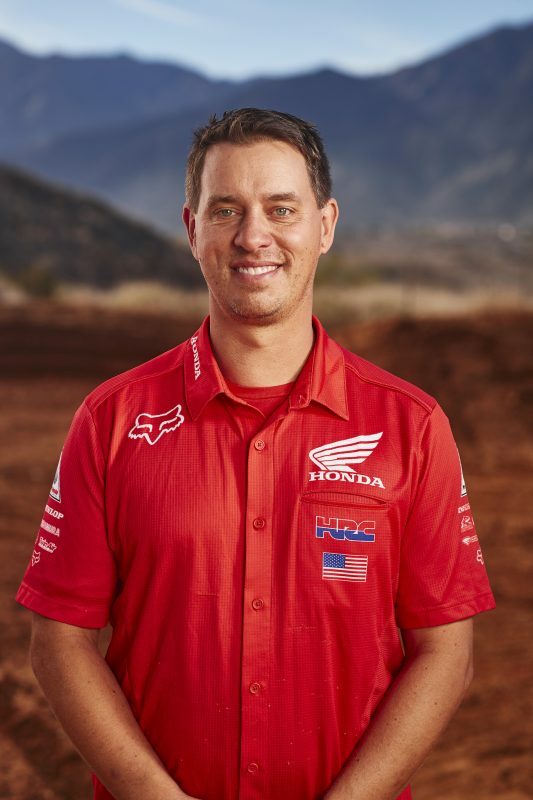 The evening before the race, Team Honda HRC and GEICO Honda are scheduled to make an appearance at Al Lamb’s Dallas Honda, starting at 6 p.m.